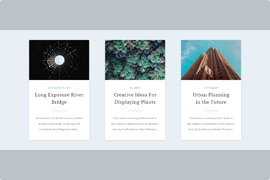 Description: Create your Magazine Slider to a dynamically changing slider with Smart Slider 3, and use the group result option to display more posts in one slide. Smart Slider 3 is an exceptional WordPress slider plugin and a useful tool to create a Post Slider. 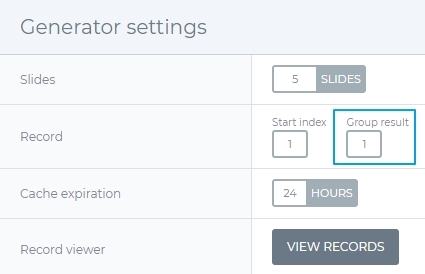 Smart Slider can create a Post Slider where each slide contains data from more posts. 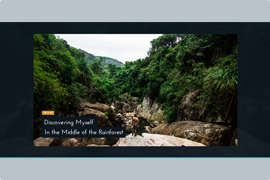 On this slider you can see the title, category and author of four different posts in one slide. Of course, you can adjust this group result value to your liking. 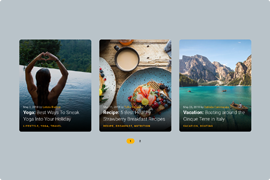 This amazing Smart Slider 3 feature lets you create a magazine layout which is perfect for news websites. How to create a Magazine Slider? In Smart Slider 3 there are 2 editing modes available. One of them is the Content mode which works like a page builder and lets you build your slides quickly with great responsive behavior. The other editing mode is the Canvas mode, and while it lets you drag your layers anywhere, it is much more complicated to achieve a good responsive behavior. At this template the content mode is used with a structure which is using rows and cols. When Stretch mode is turned on, the row stretches all the way up and down to fill the available vertical space. 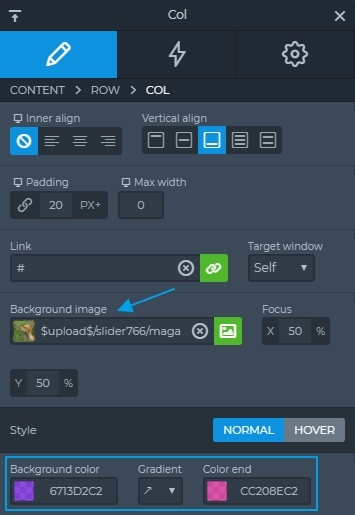 You can select a background image that fills the Col layer. You can set a background color with a small opacity for the layer which makes a beautiful overlay above the background image. Finally, all you need is to drag the layers what you want, for example Heading layer or Text layer, and you can put a link on them. 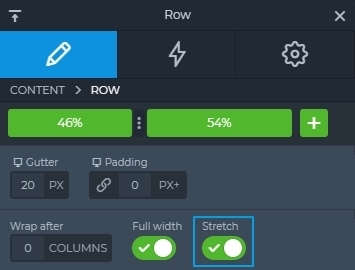 If you want to use this slider as a dynamically changing Post slider, you can create a dynamic slide, and replace the layers’ content with variables. 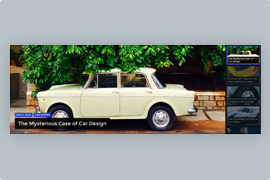 In the Pro version of Smart Slider 3 you can put more post in one slide with the group result feature if you turn on the Expert mode on the top.